Egypt - The Egyptian Parliament has approved a new anti-human smuggling law safeguarding the rights and addressing the needs of smuggled migrants. The law, which is in line with international standards, stipulates imprisonment and substantial fines for smugglers and accomplices. 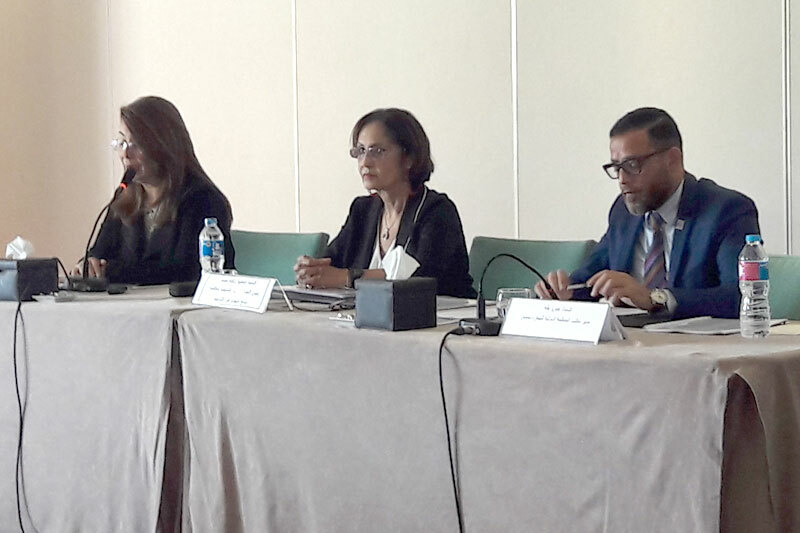 “Importantly, the law does not criminalize irregular migrants, does not distinguish between Egyptians and non-Egyptians, and foresees Egypt’s protection in line with the country’s international obligations,” said Ambassador Naela Gabr, Chairperson of the National Coordinating Committee on Preventing and Combatting Illegal Migration. In addition, the law envisages the establishment of a Trust Fund for smuggled migrants, which will be subsidized by selling assets seized from smuggling organizations. “IOM congratulates the Egyptian Parliament on this important milestone, which complements Egypt’s existing anti-trafficking Law 64/2010. We believe that the law will be a strong deterrent for smugglers who put the lives of thousands of Egyptians and non-Egyptians at risk on perilous journeys across the Mediterranean,” said Amr Taha, IOM Egypt Head of Office. “Egypt is the first country in the Middle East and North Africa to issue an anti-smuggling law complying with the ‘Smuggling Protocol’ of the UN Convention against Transnational Organized Crime, as well as its commitments under the Action Plan of the Valletta Summit on Migration,” he added. “IOM remains committed to continue providing all the necessary support to the government and all relevant stakeholders in ensuring that smugglers are brought to justice and migrants are not re-victimised, but protected under the provisions of law,” he noted. IOM will support the government’s priorities in raising awareness of the new law, improving investigation and prosecution techniques, and introducing mechanisms to safeguard the rights and address the needs of smuggled migrants. This work is an integral part of IOM country strategy, which provides the framework for cooperation with the government in achieving the Sustainable Development Goals, through which migration has been mainstreamed, including target 10.7 on good migration governance.